Nelson and Colne College has unveiled a £2m hi-tech engineering facility designed to help the county stay at the forefront of the aerospace and advanced manufacturing sectors. The College’s new department features a subsonic wind-tunnel, along with workshops equipped with the latest technology and software such as computerised numerical control machinery, and was designed in consultation with local employers. It will help the college’s engineering students learn the skills needed to help them get jobs in Lancashire’s advanced manufacturing sector. The department was launched on Tuesday 19 January, when guests, including employers, College governors, and North West Aerospace Alliance’s chief executive David Bailey, were given chance to explore the site, which also includes an innovation laboratory and 3D printing and manufacturing area, and take part in demonstrations with students. Companies in attendance included Hycrome (Europe Ltd), JD Engineering, Integrating Aluminium Components and Merc Aerospace Ltd.
An impressive interactive robot called Oscar was also on hand on the night, talking to guests about apprenticeships and giving out canapés from the College’s restaurant and bistro. The Lancashire Enterprise Partnership (LEP) has invested £1.4m into the project, as part of a £30m Lancashire Growth Deal initiative which will support new top-quality facilities across the county offering extra training places and apprenticeships in key sectors of the local economy. Dr Michele Lawty-Jones, Director of the Lancashire Skills Hub, said: “Being able to learn on advanced equipment such as the wind-tunnel will give students a huge advantage when they go into higher education or the jobs market. “Lancashire is number one for aerospace and at the forefront of advanced manufacturing generally and to keep that position and develop it still further, we need to make sure we are producing workers with the skills employers will need in the future. Nelson and Colne College’s Assistant Principal for Enterprise and Engagement Alison Rushton said: “We would like to say a huge thank you to all our visitors who joined us for our Engineering launch event. This is such an exciting time for the College, and we are looking forward to seeing school, college and adult learners, as well as employers, benefit from this outstanding skills facility. “This event was designed to showcase the impressive facility to local employers and let them know the services we have on offer, including the manufacturing of components and laser and 3D cutting, and the facilities we have available for use, such as our Innovation Laboratory and adjoining conference facility. By taking on apprentices, businesses can benefit in a number of ways, ensuring they are up to date with industry standards and gaining skilled staff in a cost effective way. Talking about the new £2million facilities, Northern Powerhouse Minister James Wharton added: “Lancashire is a global player in the aviation and advanced manufacturing markets and thanks to government investment this new facility will help us build on these strengths. Local MP Andrew Stephenson has been a long term campaigner and invited me to visit and see for myself what is being done locally only recently. 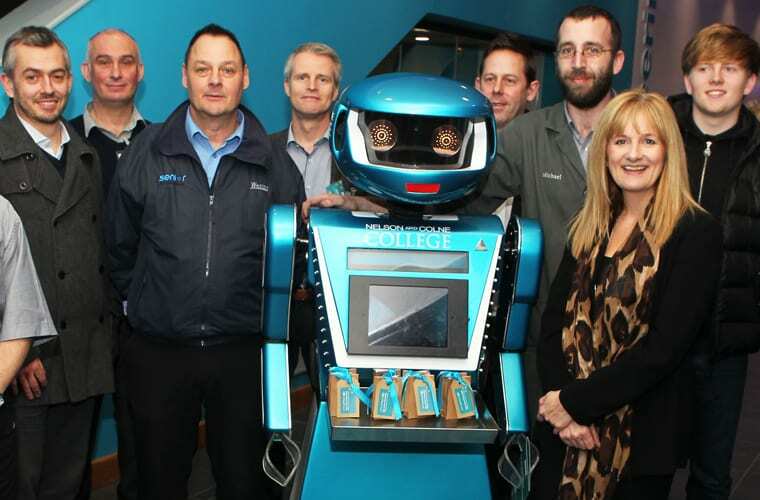 Engineering is a vocational programme at Nelson and Colne College, which has seen many students progress to top Universities and successful careers. These include Amy Crawshaw, who achieved a triple distinction* in her BTEC Extended Diploma, before leaving to study Mechanical Engineering at the University of Leeds. 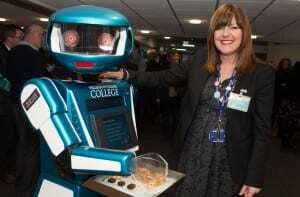 For more information about studying Engineering at Nelson and Colne College contact 01282 440217.